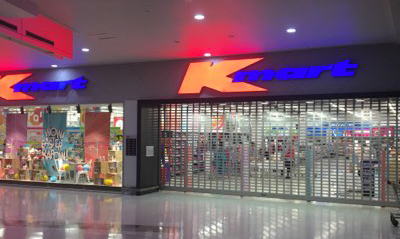 In the past 18 months group company Mirage Doors and together with Samways Building & Construction have combined on several K Mart Store refurbishments in Queensland. The stores to date include Browns Plains, Redbank Plains, Capalaba, Arana Hills, Bundaberg, Australia Fair Southport, Cairns, Helensvale, Maroochydore, Mt. Ommaney, Toowong, Townsville and Wynnum. More projects are in the offing. 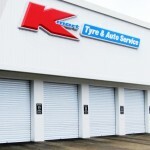 The upgrades typically include a replacement Series 3 shutter or curtain to the Store Entry, and on occasion an additional Series 70 roller grille being integrated with the existing Loading Dock roller shutter to meet fire regulation upgrades. Where applicable, the work is completed with electrical commissioning of the motors. 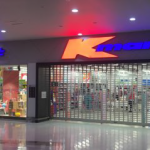 Our work commences with K Mart’s National Store Specification Department, before collaborating with Samways on opening preparation detailing and production to meet their short refurbishment timetable. The relationship with Mirage & Samways is of mutual high regard, and delivers high quality and compliant outcomes for K Mart.